Just 20 years ago, Kimball Junction’s claim to fame was the outlet mall and cheaper-than-in-town gas. Since then, however, with the development of the Redstone and Newpark shopping areas, protection of 1,200 acres of open space at the Swaner Preserve, multiple paved and dirt trails, and a new underground public art installation, the action and amenities at this crossroads of Highway 224 and Interstate 80 rival—dare we say—that even of Old Town Park City. Housing in Kimball Junction centers around condominiums and townhomes around the Newpark Town Center and Swaner Preserve on the east side of Highway 224 and Bear Hollow Village on the west side. Prices here are considerably less than what you’ll find closer to town, ranging from the mid-$200,000s to $600,000, making this the ideal place for first-time home buyers to test out mountain-town living. This summer, Crandall Capital breaks ground next to the Newpark Amphitheater on seven townhomes they are calling The Commons, each with three bedrooms and baths and two-car garages, slated for completion in fall 2019. The paved Millennium Trail runs both east and west along the interstate and along 224 all the way to Park City. Take the 224 Connector to meander around the Swaner Preserve’s northwestern flank or the East 224 Trail to access the Willow Creek Open Space and Park. The seven-mile pedal into Park City proper is a little easier with a Summit Bike Share e-bike—stations are located at Newpark Town Center and the Kimball Junction Transit Center. Check out the new public art installation on the Hwy 224 underpass between Redstone and Skullcandy. 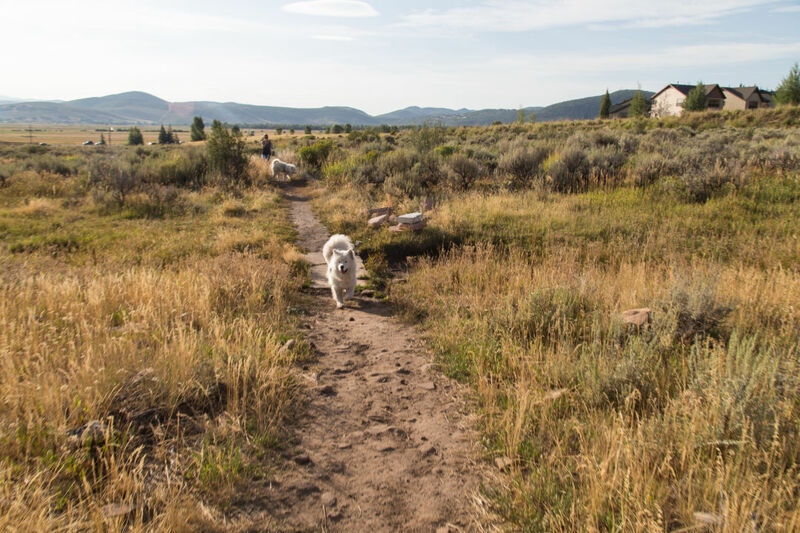 There’s plenty for dirt-trail lovers around Kimball Junction as well: leashes are optional for dogs on the two-mile Run-A-Muk Trail (2387 Olympic Pkwy); and the Glenwild Loop Trail, located just on the other side of I-80 from Kimball Junction, is one of Park City’s most popular mountain-bike routes. If you can’t find something to do in Kimball Junction, you’re just not trying hard enough. Run on the treadmill, shoot hoops, swim laps, and more at the Basin Recreation Fieldhouse (1388 Center Dr, 435.655.0999) Knock over a few pins at Jupiter Bowl (1090 Center Dr, 435.658.2695). Have beer and pizza while you watch the game at Maxwell’s (1456 Newpark Blvd, 435.647.0304). Update your wardrobe at the chic and affordable Safonova (1675 Redstone Center Dr, 435.575.8746). Or check out the amazingly well-curated collection of gifts, collectibles, and barware at Indigo Highway (1241 Center Dr, 435.214.7244). 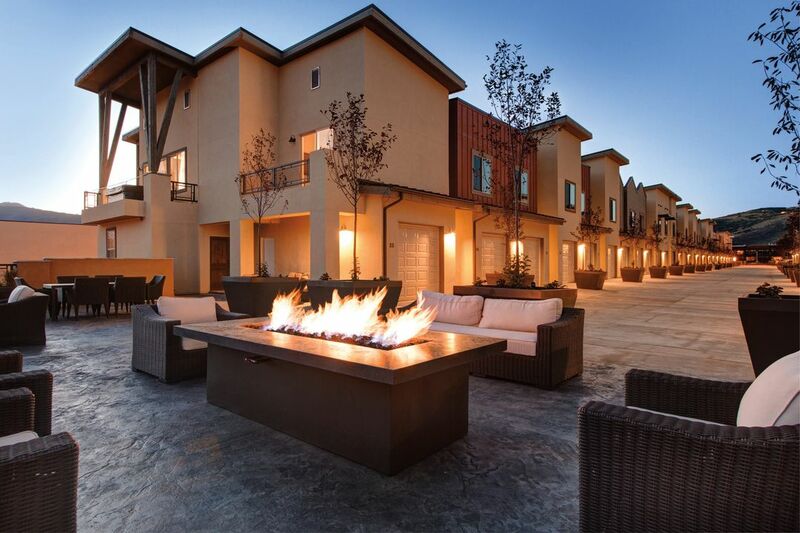 Any way you stack it, the recreation amenities, walkability, and convenience of Kimball Junction will likely make you think twice about living at Park City’s front door.